An obelisk commemorates the centenary of the Matthew Flinders` landing and naming of Kangaroo Island in 1802. 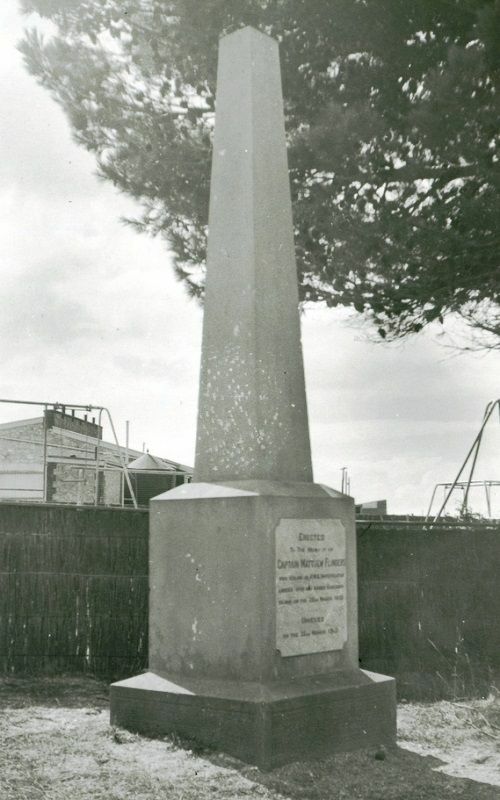 On March 22, 1902, the members of the district unveiled an obelisk erected by the residents of Kingscote, marking the centenary, and in honour of the great navigator. The obelisk overlooks Nepean Bay, where Flinders in the Investigator, lay at anchor. The Register (Adelaide), 23 March 1910. Unveiled on the 22nd March 1902.